Ninety-nine percent of marketers say they consistently need fresh ideas for content production, yet only 51% of marketers say they have enough ideas to be successful. Think about that for a second. 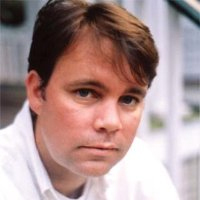 For every 10 marketing teams, five are destined to fail from the ideation stage. To drive content engagement, today’s marketing teams need to create a sustainable stream of ideas that are capable of capturing attention and leaving a lasting impression. Coming up with golden goose ideas day in and day out isn’t easy, as you know. Thankfully, storytelling strategist and author Kathy Klotz-Guest has plenty of ideas to make ideation easier and more entertaining. 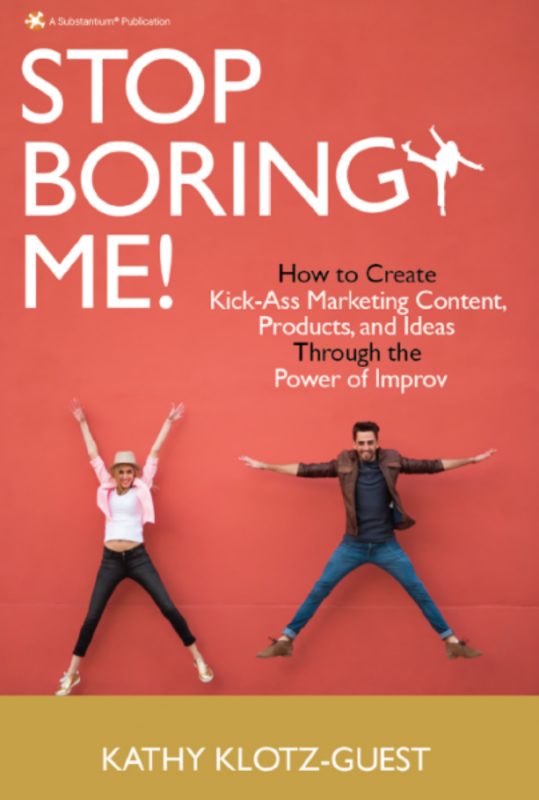 In Stop Boring Me!, also featured on our summer reading list for marketers, Kathy illustrates how unleashing your inner kid and comedian helps dig up entertaining, imaginative content ideas your audience cares about. Does your team’s idea well run dry on occasion? Then it’s time to energize your content program by immersing your team in the playful collaboration of improv showcased in Stop Boring Me! Why Kathy Wrote Stop Boring Me! Before becoming a storytelling strategist and improv comedian, Kathy was a marketing executive in Silicon Valley. At the behest of bosses, she found herself reluctantly writing uninspiring content riddled with jargon. If Kathy thought the content was boring, she shuddered to imagine what her audience thought. Kathy noticed that content has become more transactional than human, lacking the emotional resonance to propel people to action. Using her many years of experience on the stage and in an executive’s chair, Kathy wrote Stop Boring Me! to help business teams combat boredom and fatigue using the principles of improv. Improv isn’t about performing and earning laughs. It’s about creativity and collaboration, two fundamentals any business team can adopt. Powerful, attention-grabbing content starts with an idea. Stop Boring Me! will help you create entertaining punchlines for your content. And who can argue with inserted more fun into the process? For more insightful books, tips, and strategies from today’s top marketers, subscribe to the LinkedIn Marketing Solutions blog.